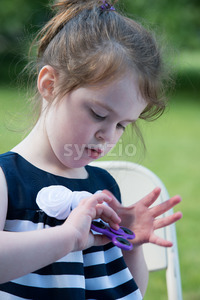 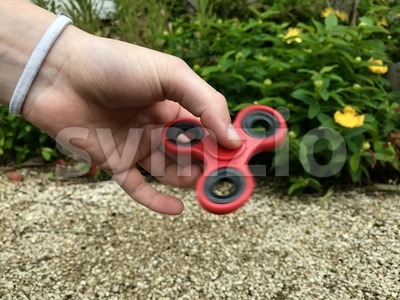 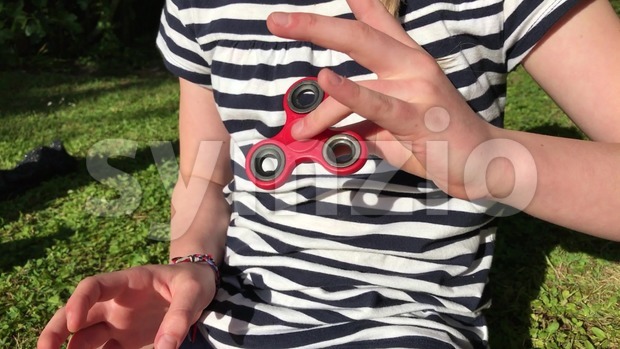 Girl playing with popular new spinner fidget gadget in her hand. 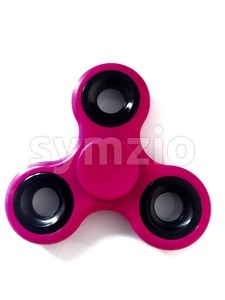 Super trending toy in 2017. 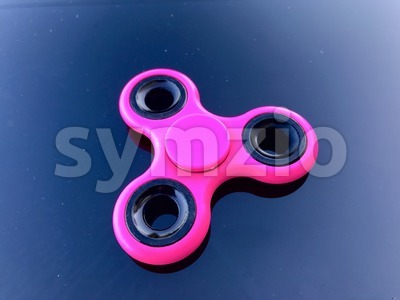 Playing with this new fidget device is supposed to relieve stress, relax and improve reaction.